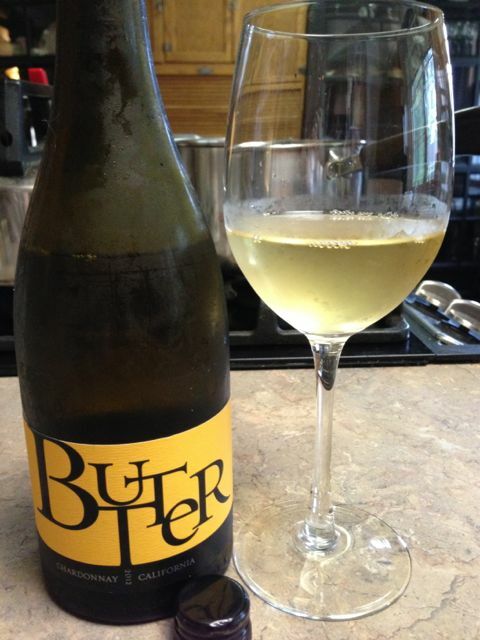 If you name a wine “Butter,” you capture my attention. And that of others, it seems. JaM Cellars’ Butter Chardonnay is quite popular. The wine sells for around $15.00, which is not a bad price point. Perusing the spare but cleverly designed website, I see no mention of a winery or location, so I assume that this wine is a blend of grapes from various California vineyards. The red from JaM cellars is known as “Jam,” and there appears to be a wine named “Toast” in the offing (good, because if there weren’t, I would have had to make a joke about it). But on to the burning question: does this wine live up to its name? Not in my book. To me it tasted like a mildly oaky chardonnay, pleasant enough but without much character. And most disappointingly, it was in no way buttery. “Alas!” I said to myself. “Butter is only a gimmick designed to draw in creamy dairy fanatics like me.” I was quite put out with the eponymous John and Michelle (JaM: clever eh?). Then we commenced our dinner of emerald-green soup and toasty cheesy bread. A second glass was poured. And I suddenly decided that I liked this wine, buttery or not. It had a balance of moderate fruit, tannins and acidity that complemented our food. Since that night, I have pondered my change of heart and come up with several possible explanations for the “Second Glass effect,” which I have experienced before. 1. The wine was too cold at first. Because I’m a greed-head, I couldn’t wait for it to get to optimal temperature before sucking down an entire glass. Therefore the second glass tasted better. 2. The wine is one of those that blooms when you have it with food and enjoy the interactions thereof. Some wines are very distinctive, and the wrong food, or even any food, will dull the spectacular show in your mouth. Others, less showy, are also better matches for a meal. 3. No doubt this occurred to you immediately, which is why I saved it for number three: I was more charitable toward the wine by this point because I was starting to feel a nice buzz (having disposed of Glass Number One on an empty stomach whilst cooking). 4. And then there’s a more philosophical explanation, drawn from Stephen Stills: If you can’t be with the one you love, love the one you’re with. You certainly have MY attention with a wine name like that! I like the “second glass” notes as a fresh take on its good qualities. I’ve encountered this too, but usually in the opposite direction – the wine being less in character than I remembered. I’m still tempted to try this…and possibly “Toast” as well. Thanks for the reblog and the comment! If you try it, let me know what you think. Proof that if you give it a second chance, it might step up and deliver.